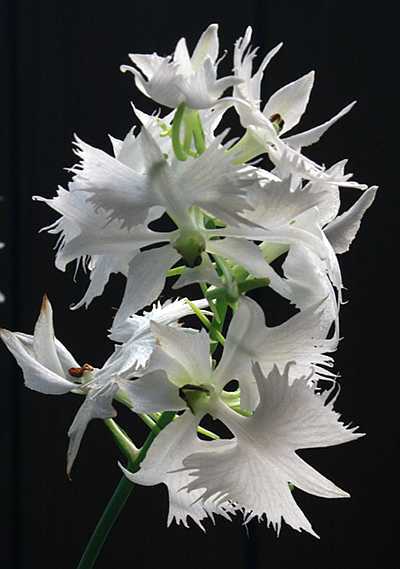 One of Japan’s most famous orchids is the delicate terrestrial species, the egret flower, Habenaria radiata. This plant’s flower indeed looks much like a snowy egret with its display plumage puffed out. Despite being well known world wide, ironically this species is imperiled in the wild. In addition, most growers find it a bit difficult to keep for more than a season or two, but that is mostly a problem with cultural requirements, as we shall see. 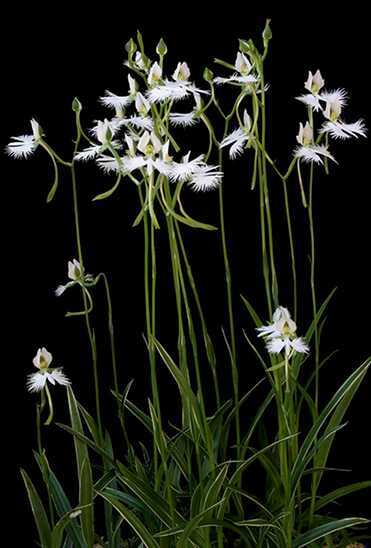 Habenaria radiata is a small terrestrial orchid of grassy wetlands and seepage slopes throughout Japan, the Korean Peninsula, and some parts of eastern China. It is easy to see how this species got the name “egret flower”. The leaves are grass-like, up to 7 in number, and are between 5-20 cm long, and about 1 cm wide each. New leaves are formed each spring, starting out as small leafy growths that extend upward over the summer. They are arranged alternately up a single stem that continues on as a branch less flower spike up to 50 cm tall, but usually much shorter than that. Flowering commences in late July and peaks in August. The flower stalk holds anywhere from 1 to 8 flowers, each being around 4 cm wide. 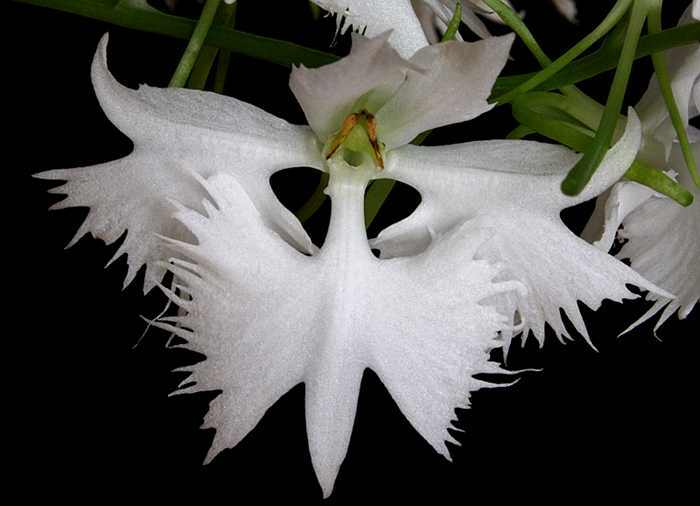 The the extravagant lip as well as the petals are pristine white, whereas the sepals are simple, small and green. Without a doubt, the lip steals the show – it has three main lobes, the two biggest extend laterally and are highly fringed, while the center lobe is simple, elongate, and pointing downward. In the spring the leaves of Habenaria radiata are quite small and grow close to the ground. This is a mixed bunch of variegated leaf varieties. The pure white plants will die before flowering. The lateral lobes of the lip give it the distinctive “egret flower” shape, while the petals, also pure white and lightly toothed, splay upwards, looking much like wings, and giving the flower an almost angelic appeal up close. The column itself is interesting, a trident shaped affair, bright green, with two yellow, elongate pollinia at the front in full view, just waiting for a ride on a pollinator’s back or head. If this weren’t remarkable enough, the flower also boasts a large nectary, or spur, green in color and extending up to 8 cm long in a graceful arc just below the lip. Truly, this is a regal flower. 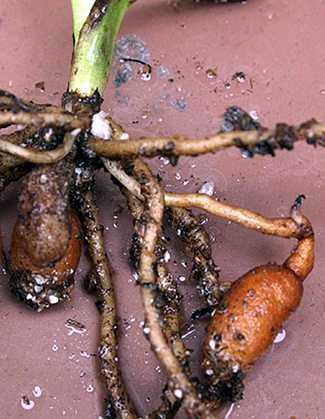 The plant grows from a small underground tuber, no more than a couple centimeters long, and its associated network of fleshy, branch less roots. Being a deciduous species, this tuber serves as an energy source early in its growth cycle, allowing new leaves and the flower spike to form. Over the summer new bulbs form on short underground stems (stolons) and the old bulb slowly diminishes and dies by early autumn. A healthy growth can produce up to 3 replacement bulbs, and sometimes more. 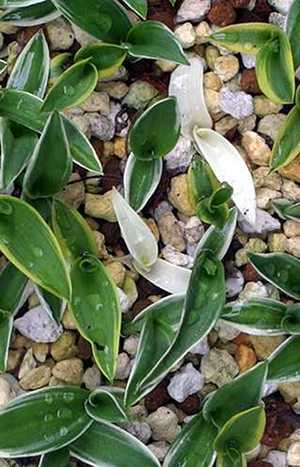 The new bulbs are fully formed by late October and leaf antithesis occurs at that time. A short time later the roots grown that season die back as well and the newly formed bulbs become separate, individual plants. This species is in rapid decline over its entire range. Over collection may have been one contributing factor in the past, but for the most part the loss has been due to habitat destruction. In pre-agricultural times these plants grew in lowland bogs and marshes in the very same areas where rice patties were to be situated later on. Rice cultivation increased, then was followed by urbanization, and in lowland areas this species became more and more rare in the wild. The new bulbs of Habenaria radiata grow off stolons and are light brown in color. Nowadays, Habenaria radiata exists mostly in upland bogs and seepage slopes in moderate to high mountains (over 500 meters elevation). These areas are not suitable for agriculture in most cases and so this plant (along with many other rare species) has found its last refuge in modern Japan. While it is found on all of Japan’s main islands it is endangered throughout its range and is even extinguished in some prefectures. I have no idea about its status in Korea and China, but I’d guess the situation in those countries is equally dire. Luckily many of these bogs have been protected and the only thing these flowers have to worry about are the foot falls of overzealous photographers – actually, a pretty serious problem at popular flower viewing sites. The Japanese name for this species is sagisou, meaning “egret grass/herb”. Japan is home to many white egrets and in fact they often share the same habitats with this little flower. There are a number of varieties that have been developed. Various variegated leaf forms have been created – some have white margins to the leaves, others have variegation throughout, while others have yellow-green leaves or yellow green variegation. Perhaps the most stunning form is the peloric flower plant called ‘Hishou’ in Japanese. Peloric orchid flowers boast three lips instead of just one. The petals are replaced by the two extra lips, creating a perfectly radially symmetric flower. In the case of H. radiata ‘Hishou’ the flower is indeed stunning. Unfortunately it remains rare in cultivation outside of Japan, but plants have been showing up in Europe in recent years. Luckily, Habenaria radiata is easy to cultivate. Due to its liberal production of new tubers each season, the plants are easy to increase and production is high. I started with just a handful of bulbs and within 3 years I had over a hundred plants. The trick to growing the egret flower is simple – grow them as you would any bog orchid or pitcher plant in summer and very importantly, dry the bulbs off in winter. Being plants of sunny, wet bogs, they do not appreciate windowsill culture and planting them in normal potting soil will mean their demise rapidly from fungal or bacterial attack. Liberal use of fertilizer as well will be the end of them. So, how to grow them? Likely you will receive your plants as small bulbs, leaf-less, and nearly dead looking. Light brown bulbs with a bit of fuzzy hair are the healthiest, but even dark brown ones will grow if handled well. If you get them in the fall, I recommend treating them with a dilute fungicide solution for a few minutes, submerged is best. To store them for the winter, dry them out quite a bit, until they feel dry to the touch, and place them in a freezer bag with a bit of very slightly damp vermiculite or perlite. Put this in a cool place over winter, below 10 C (50 F) is best. You can also store them in a refrigerator, though this isn’t necessary as long as the temperature doesn’t exceed 12 C (54 F). Avoid freezing them. Since they will have to rest all winter, it is a good idea to check them once in a while for fungal attack. Often a bulb will go bad and needs to be removed so that it doesn’t infect others. In early spring the bulbs should be planted just below the surface, perhaps 1 cm (0.5 inch) deep. Plant them pointy side up. Once potted, put them in a sunny, warm position and keep them moist, but not wet. Be patient, they can take weeks to start to grow, but once they do, increase watering. When the days truly get hot and the plants are growing strong, water them such that they remain essentially wet. I’m careful with not letting them get waterlogged however and have found them to be poor container bog plants. The water you use should be relatively low in dissolved minerals, but don’t worry too much about that. More important is that you let the chlorine dissipate before watering – a container sitting out for 48 hours is enough to accomplish that. You can grow them in any mix that is water retaining and acidic in reaction. I use a natural weathered pumice called kanuma, peat moss, and a bit of sand (ratio of 1 : 1 : 1/2) and top dress with a thin layer of dried sphagnum fiber. You can use anything similar, for instance perlite mixed with sand and peat, for example. Some people grow it pure live sphagnum sitting on top of a bed of pure silica sand. I don’t think that is necessary, and if you’ve ever tried, you’ll know how difficult it is to keep sphagnum alive and happy! This group of Habenaria radiata grew from just a handful of bulbs over a 3 year period. The plants will be full grown by mid July and will start throwing their flower spikes. Be careful for bug attacks at this time since the delicate buds are easily destroyed or disfigured. Once they are finished flowering, continue growing them wet until the heat of summer is over. In the cooler days of early fall keep them just moist. Once nights get below 15 C (60 F) they will begin to go dormant. You can remove the dead growths at that time. For winter’s rest, keep them in the same pot, but dry it off bit by bit until is is nearly completely dry, but not truly so (the dryness of bagged tobacco is perfect). Do not bring them into a heated area to do this, instead allow it to happen slowly by not watering at all. Addition of small amounts of water every few weeks is necessary, particularly if the pot is kept in low humidity (for example a basement). Keep the plants cool and dry all winter in their pot – 0 to 10 degrees C (32 to 50 F) is ideal. In March or early April take the plants out of the pot. Recover all newly formed bulbs and throw away the old bulbs and dead roots. The new bulbs will be bright tan or light brown in color and firm to the touch. The old bulbs will be dark and soft. Replant them immediately to start the new growth cycle. Regarding fertilizer – I do fertilize mine regularly with a very dilute inorganic fertilizer with micronutrients. The key is to not overdo it. In May and June, when the plants are at peak growth, I fertilize about every other week, but am sure that the pots are fully flushed with fresh water to avoid salt build up. Usually the monsoon rains take care of that for me. You can use organic based fertilizers such as fish emulsion or sea weed based extracts as well, but it isn’t necessary. The peloric flower form of Habenaria radiata is known as ‘Hishou’. Peloric orchid flowers have 3 lips, but as you can see, they don’t always fully form in this variety. Also note that the petals are retained in this flower. The tricks to keeping these guys happy are: renew the growing medium each season, grow them in a sunny location, use plenty of chlorine free water while in growth, fertilize carefully at the beginning of the growth cycle, and provide a cool, dry winter rest. Follow these basic instructions and you will be rewarded with lovely egret flowers each summer. You may also be amazed at how many new plants grow each season. Rare in the wild, yet easy to grow, this lovely species is a true gem of the far east. Anyone who is in for a bit of a challenge and is capable of say baking a cake from scratch ought to give this one a try. You won’t be disappointed. The natural habitat of Habenaria radiata are upland bogs in full sun. 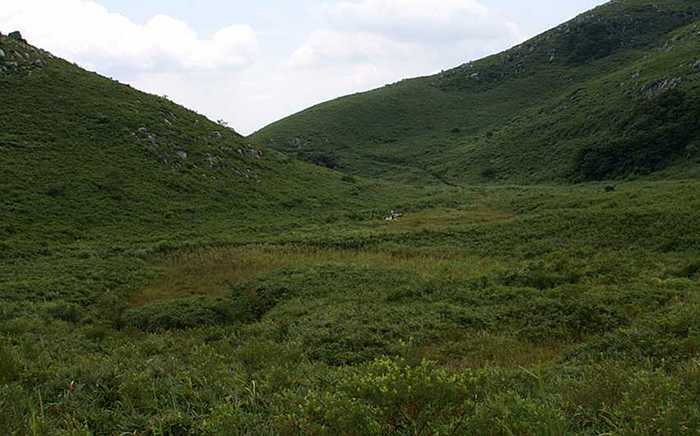 This bog is the Hirotani wetland on the Hiraodai Plateau, Fukuoka Prefecture, Kyushu, Japan. May I please quote your website on culture of H. radiata in my plant list? With my own photo of the orchid, here is my text: Habenaria radiata (Egret Flower, Fringed Orchid) ORCHIDACEAE This charming, small Far Eastern orchid is a wetland plant. It blooms in summer and is dormant in winter. “The trick to growing the egret flower is simple – grow them as you would any bog orchid or pitcher plant in summer and very importantly, dry the bulbs off in winter.” Read more of this good advice, and see some wonderful photos H. radiata, on Botany Boy [that’s a live link]. Our tubers were propagated in Japan. They are naturally small. Hi Paige, that is fine with me. I love to have folks link to my site. Looks like you all have a nice nursery going there. 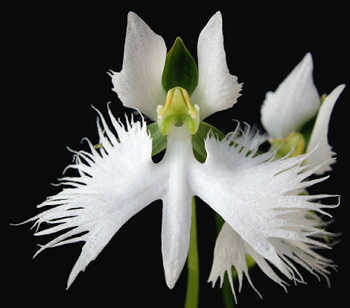 we would like to make a promotion for a new plant in our assortment – habenaria radiata. Can we, please, use the photos from your website in our on-line shop and mailing to our customers? We have plants from our Dutch supplyer of bulbs, but we do not have the picture from them. We are supplying small gardener in Slovakia and the Czech republic. I am looking forward for you quick response. Hey Seemann, you can use the photos of course, but like Paige’s site, I’d like a live link back to my site. You can buy them at big box stores in the spring months often along with Bletilla striata. Some bulb companies offer them online as well. Another source is the Wild Orchid Company – they carry a wide range of hardy terrestrial orchids as well. What kind of medium do you use for them? I live in Canada and ordered them from China. They started to sprout so I had to plant them. I have mine planted in a spagnum moss/hydro corn mix and keep them constantly damp with wick watering until it is warm enough outside to put them out. I was going to say what I grow them in is in the article, but now realize I never actually stated that! Thanks for the heads up – I will make an addition. You can grow them in any mix that is water retaining and acidic in reaction. I use a natural weathered pumice called kanuma, peat moss, and a bit of sand (ratio of 1 : 1 : 1/2) and top dress with a thin layer of dried sphagnum fiber. You can use anything similar, for instance perlite mixed with sand and peat, for example. Some people grow it pure live sphagnum sitting on top of a bed of pure silica sand. I don’t think that is necessary, and if you’ve ever tried, you’ll know how difficult it is to keep sphagnum alive and happy! I’ve never tried your medium, so I cannot comment directly – it sounds OK though. Important also is that you dry the bulbs in the winter. Do not attempt to keep them moist and in the growing mix over the winter months since they tend to simply rot. Great article thanks! I am giving these guys a go this year and am wondering about harvesting the new bulbs (that is, if I get that far). You said to take the plant out of the container in March/April to recover the newly formed bulbs in the article. But in the comment above you said not to leave them in the pot over winter? I am probably missing something, as I don’t have much experience with this kind of Orchid. But would appreciate some feedback. Folks often fail with this species when they try to grow it in a moist to wet bog garden in winter. Plants are prone to rot and disappear over time if you do this. You can remove the plants from the growing container in fall, clean them, and store them semi dry in a freezer bag for the winter in some slightly moist vermiculite. I used to do this, but it was time consuming and rot was sometimes a problem if you didn’t dry them off just right. Now I simply put the container in a place where it won’t get winter rains, under a covered outdoor porch. This way I can regulate how much water they get – not much. If you want, you can repot them in the fall – clean the new bulbs, give them a little fungicide treatment, and replant into fresh mix. That might even be the best method, but I’ve not tried it yet. If you do get bulbs in the fall I highly recommend you do not plant them out unless you keep them on the dry side. The tropicals member of Habenaria and Pecteilis from SE Asia are similar in their need for a dry winter rest, but without the cold treatment. H. radiata is a temperate species, thus needing the colder temperatures to be able to grow the next spring. Thanks for your advice here, I have one tiny tuber and hoping I may one day plant some outdoors in the ground. Seems like a lot of trouble to clean and replant the tubers though, they certainly don’t get that kind of attention growing wild! If they are rated for Zone 10 they should grow in our temperatures where I am. Have you seen anyone amend their soil and get them to grow in a home garden? From all the people I’ve talked to planting H. radiata directly into the ground will kill it. Being a true bog species, I’ve tried growing it in bog gardens with other orchids and never succeeded keeping them alive for more than a couple years. They seem to always rot during dormancy. Also, this species grows in temperate areas in the wild, so you may need to give it a bit of a winter rest if temperatures don’t go below 10 C (50 F) for at least a couple months. You can do this by storing the tubers in a freezer bag in the refrigerator’s crisper for 2-3 months after they’ve gone dormant. Don’t put them in the freezer though, that will kill them! I love this plant, is beautiful! Where can I buy it? I’m from Portugal. Sorry Alice, I don’t know where to get them in Europe. Ebay is always a likely place to look. Paul Christian in the UK has them at times I’m sure. I also know that the large bulb companies in Holland have them for sale – look for them in the fall or late winter. Thanks for a great site. Lots of interesting information. I grow my Habenaria in Hokkaido Japan. Fantastically easy to grow in pots of 100% sphangnum. In the winter I stick the pots under a bush where they get covered with snow. Temperatures can drop to minus 20 C, but if under the snow they seem fine. I live in South Florida – is the hot, humid weather suitable to give this plant a go? Because of our typically very mild winters (rare that the temp goes below 50 for an extended period of time), would it be safe to leave them out under a covered patio during their dormant period? I know the weather in south Florida since I lived there for several years. I would say you have a chance to succeed with this species if you follow the cultural directions I give in the article. I’m not sure that you winters will be long enough to properly vernalize them however. Maybe better to dry the bulbs off completely in winter and refrigerate them. Then again, you may have good success with more tropical types like H. medusa and H. dentata. Another neat possibility, if you could source any, is Pecteilis susannae – it is like H. radiata but on steroids. I’d wager any of those could be grown outside year round if they were kept dry during their winter rest. one question… you mention kanuma ? Yes, it is the same kanuma. There are a couple types – harder and softer. I use the latter because it is cheap here, but either will do. I’m glad the article was useful for you! Hi, Very useful article. I live in Scotland and have just bought this plant from Paul Christian and am waiting for delivery. I grow a lot of Pleiones and culture seems similar but slightly wetter in summer. So hoped to succeed with this lovely orchid. I used to dry Pleiones off in the winter and take them out of the pots but lost a lot. I find now that leaving them in the pots till early spring then repotting works best so will do the same with this orchid. I do exactly the same thing with this orchid now, as well as Amitostigma and Ponerorchis species. I still keep Pterostylis and Orchis bulbs in plastic bags during dormancy though, but completely bone dry. The reason is simple, they are dormant in warm weather and fungal problems are much less of an issue. I love this orchid!!!!!!! Wanted to know, if I can plant it in Miami, FL, zone 10b?????? Zone 10 is pushing it. It may be possible if you grow it in morning sun with bright shade the rest of the day in a typical peat “bog garden”. In the fall, once the leaves die down, remove the new bulbs and put them in a freezer bag with just a bit of moisture and store in the refrigerator (not the freezer!). Plant them out again in the spring, say April. The big problem will be too much heat and also getting them to go dormant in the fall – you may have to wait until December or January. Sorry for the reply in English. 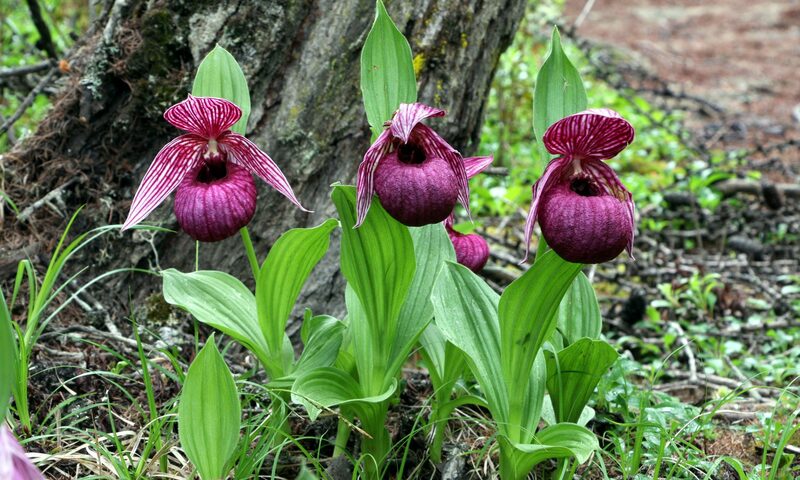 Yes, H. radiata can be grown alongside acid loving insect eating plants, but in winter you should remove the orchid’s bulbs and keep them barely moist. If you leave them in cold, wet soil they will probably rot.